Groovy… but which one? I seem to be having problems in a lot of areas of my life right now – money’s scarse and I’m behind in everything, I’m no longer content with my job, I’m having issues regarding love and relationships… it’s like the problems are in every category. 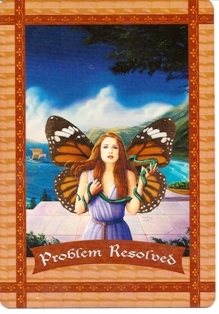 And what does the fairy say to me when I ask her which problem is resolved and inventory my problems for her? Hmmm. One – more deeply rooted – problem that is causing this “ripple-effect”. It’s likely an internal thought process – a thinking pattern I’ve established, or a lesson I’m meant to be learning – but am resisting or taking my time with. 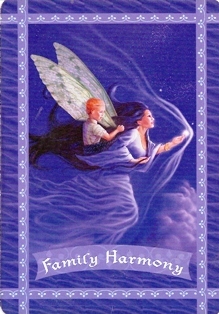 But on the positive side, this card is showing that the problem is resolved, and it goes nicely with yesterday’s oracle of Miracle Healing. I think some of it has to do with learning to recognize, accept, and correct my own imperfections without condemning myself for them, and the second part is in learning how to stand my ground in certain situations (i.e. shielding when necessary, knowing when to draw back rather than throw myself -and my heart- into situations that are not healthy, not allowing others to try to change who I am to suit their own needs). 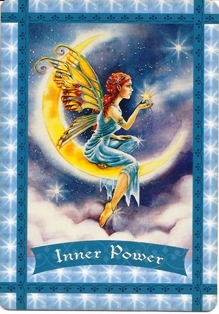 In any case, this fairy offers a sense of relief – as did yesterday’s fairy – and I can rest assured that whatever issues feel like their challenging me or dominating my current circumstance are about to become issues of the past. I’m almost through to the other side of this “tunnel” I’ve been in. 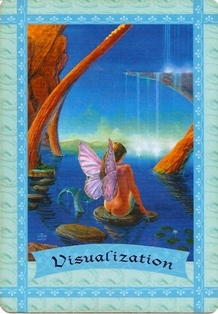 Card Meaning: An issue that’s been bothering you is being healed behind the scenes. The solution is creative, ingenious, and is a joyous surprise for you. Description: You’re on the cusp of experiencing welcome relief from a problem that’s been bothering you. 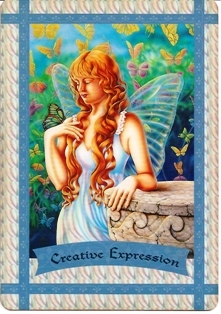 The fairies want you to know that you have reason to smile, as heaven is working on a solution that is so creative that you’ll chuckle with delight at God’s sense of humor. Basically, it’s win-win for everyone. You’ll soon be receiving good news, such as the healing of a strained relationship, an unexpected financial resource, a resolved health issue, a happy addition to your home, a new career opportunity, or a romantic proposal. Please don’t strain to figure out “how” this solution will be achieved, or in what form it will manifest. Instead, let yourself enjoy feelings of excitement and gratitude as you allow heaven to help you. Affirmation: I ask that all effects of mistakes and misunderstandings be undone, both in the past and present.